Can improved design help costly hospitals better prevent patient harms? When a giant institution like MedStar Georgetown University Hospital announces it will spend more than a half-billion dollars to improve, rebuild, and expand its facilities, few of us blink. That’s because we know that hospitals, in general, are “among the most expensive facilities to build, with complex infrastructures, technologies, regulations and safety codes,” observes Druv Khullar, an M.D. and M.P.P. at Massachusetts General and Harvard Medical School. He goes on to point out the significant harms that patients suffer in hospitals, most notably due to infections acquired there. As I’ve written, hospital-acquired infections (HAIs) add to the woes of hundreds of thousands of already ailing patients annually and they’re part of the broader problem of medical errors, which some experts estimate claim 250,000 lives annually and may be the No. 3 killer in the U.S. But a growing body of research—some 600 published studies, by one estimate—points out that fundamental, cost-effective changes in hospital design could not only add to patients’ comfort but measurably improve their health outcomes. 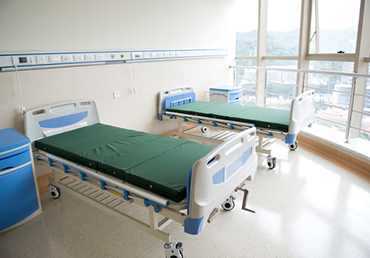 Further, by rethinking the solo suites’ design, hospitals could make the accommodations considerably safer from the growing woe of patient falls, for example by building in bathrooms nearer to beds and making them more navigable with hand-rails. By starting from scratch in their designs, other research has found, hospitals could make patient rooms mirrored, sufficiently alike left and right, so important medical equipment in the suite would be better positioned and in places instantly familiar to staff to avert error. Better designed rooms also would relocate and improve the simple seeming sinks there, both for patients’ bathrooms and for caregivers to wash their hands—a major way to reduce hospital infections. More attention needs to be given to hospital sinks, other research shows. That’s because fatal infections, such as an outbreak at the National Institutes of Health flagship in Bethesda blamed in the deaths of 11, may be tied to the persistence of bacteria dwelling in hospitals’ plumbing and splashing up from sinks. Khullar also points out that hospitals, by making themselves less grim and gloomy, also could benefit patients. He and others cite studies that show that making rooms sunnier and cheerier contributes to healing. I know from my practice that hospitals can be stressful, unpleasant places where errors occur too often, harming too many patients seeking medical services. I agree with those who insist that they shouldn’t be modeled after swanky hotels because they are serious care giving institutions dealing with sick people who would rather be almost anywhere else on the planet. We’ve come a long way since hospitals had open wards with rows of beds filled with patients with all manner of disorders and conditions. But we’ve got a long way to go to ensure that hospitals best care for the ailing and not make them sicker. Their costs, which get passed on to all of us, are astronomic, so let’s ensure that facilities are designed to make us healthier.